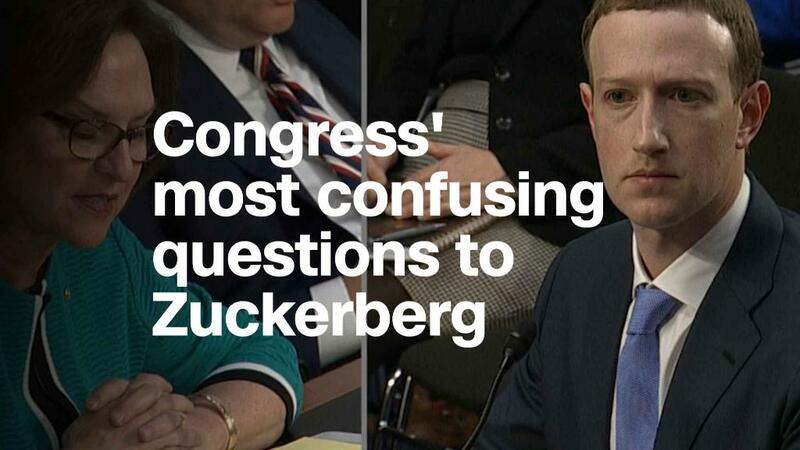 The verdict from Wall Street is in -- and investors clearly think Facebook CEO Mark Zuckerberg was the winner after ten hours of testimony in Congress Tuesday and Wednesday. Although shares of Facebook (FB) dipped Thursday morning, they are still up nearly 3% since Zuckerberg entered Capitol Hill to face questions from the Senate Tuesday. All told, Facebook's stock has gained about 4.5% since the start of trading Tuesday morning. That makes up nearly all of Zuckerberg's total net worth -- good enough to make him the seventh richest person in the world, according to real-time data tracked by Forbes. Of course, anybody else who owns Facebook shares has benefited as well. The company's total market value has increased by nearly $23 billion since Tuesday morning. Analysts are also betting that there won't be much in the way of a user or advertiser fallout for Facebook either. Shares of Snap Inc (SNAP). -- the parent of Snapchat -- are up more than 8% in the past few days. Twitte (TWTR)r has gained 5%. Alphabet (GOOGL), the parent company of Google and YouTube, is up 1% while LinkedIn owner Microsoft (MSFT) has risen 2%.